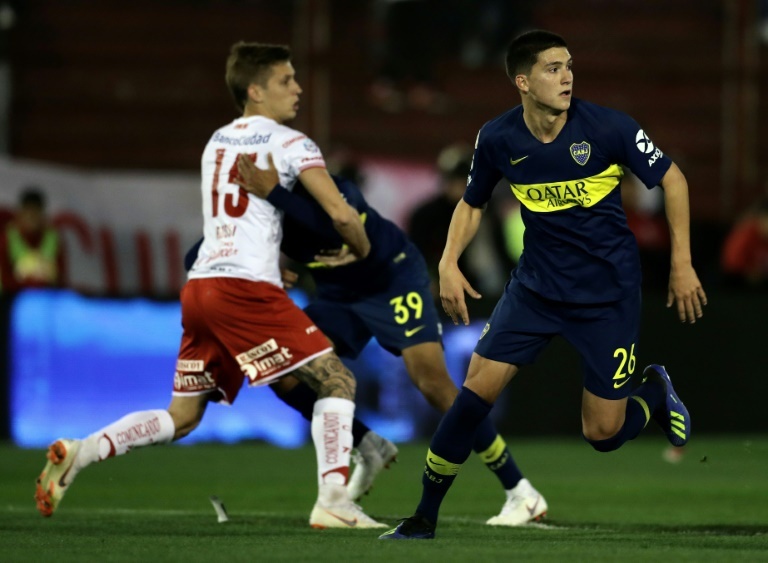 Berlin (AFP) – Bundesliga leaders Borussia Dortmund are set to sign Argentine defender Leonardo Balerdi in the current transfer window after reportedly agreeing a fee of 16 million euros ($18.45m). Dortmund’s CEO Hans-Joachim Watzke has said the German league leaders want to strengthen their defence to cover for Swiss centre back Manuel Akanji, who is sidelined long-term by injury, with the current transfer window to close in Germany at 1700 GMT on January 31. Dortmund’s scouting department is currently busy as they look to invest the £58 million ($74m) made from selling US international Christian Pulisic — regarded as one of the hottest properties in European football — to Chelsea at the start of January. Borussia Moenchengladbach’s Belgium winger Thorgan Hazard, 25, is also believed to be a target as he has yet to sign a contract extension to his current Gladbach deal which expires in 2020 and would reportedly cost Dortmund 42 million euros. The Bundesliga resumes the weekend after next with Dortmund, who hold a six-point lead in the table, travelling to fourth-placed RB Leipzig on January 19.